For this weeks From Page To Screen I'll be comparing the book turned film Beastly by Alex Flinn. Here is a bit of back story in case you aren't familiar with the novel. Beastly is a novel written by the Author Alex Flinn. The book was originally published October 2, 2007 by Harper Teen. Beastly is a modern day retelling of Beauty and the Beast set in New York. Upon release Beastly received mainly positive reviews. It eventually went on to become a Bestseller thanks in no small part to the book being turned into a film. 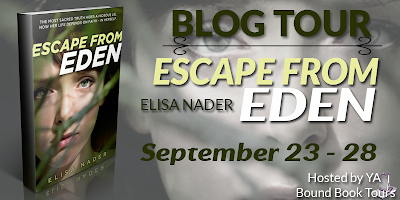 Thanks for visiting my stop on the Escape From Eden blog tour hosted by YA Bound. To follow along with the rest of the tour click the banner below! She doesn’t know him, but inexplicably, is drawn. She knows it is wrong but she agrees to meet.His real name is Kai. He is beautiful. And immediately Serena feels herself blindly falling for him even though she senses a lie. She knows he is hiding something and it terrifies her. Waiting On Wednesday is a weekly blog post hosted by Breaking The Spine. For this weeks Waiting On Wednesday I chose Fire & Blood by Victoria Scott. Expected Publication: February 25, 2014 by Scholastic Press Tella Holloway is losing it. Her brother is sick, and when a dozen doctors can't determine what's wrong, her parents decide to move to Montana for the fresh air. She's lost her friends, her parents are driving her crazy, her brother is dying—and she's helpless to change anything. 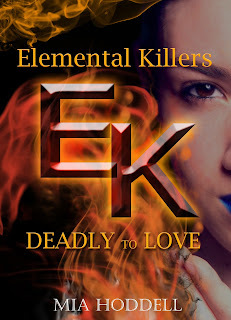 Book Trailer Tuesday is a Weekly Blog Post hosted by me at Blood Sweat and Books. Each week I choose two Book Trailers to showcase. One Trailer will be for an upcoming book and the other will be one that has already been released. This week I focus my spotlight on Carnival of Souls by Melissa Marr & Teardrop by Lauren Kate. Carnival Of Souls by Melissa Marr In a city of daimons, rigid class lines separate the powerful from the power-hungry. And at the heart of The City is the Carnival of Souls, where both murder and pleasure are offered up for sale. Once in a generation, the carnival hosts a deadly competition that allows every daimon a chance to join the ruling elite. Without the competition, Aya and Kaleb would both face bleak futures—if for different reasons. For each of them, fighting to the death is the only way to try to live. From Page To Screen (54) Help! I need some help deciding what sort of Books turned Films you'd like to see on here in the future. While I certainly could keep doing these myself I think it would be nice to hear what you good people enjoy seeing. So I ask, Do you prefer Dramas? Horror? Science Fiction? Young Adult? Historical? Any particular book turned film that I haven't covered that you'd like to see (Find Full list Here)? Anything you don't care for? Just leave me your responses in the comments below. It would help me out big time! I'll be back next week with an all new From Page To Screen where I tackle Beastly by Alex Flinn so make sure to stop by and check that out. This past week I really tried to stick to a reading goal of knocking down my TBR some. I only managed four books and a Novella but nevertheless I'm happy with myself. I also found at that the Wizard World Comic-Con will be making a stop in my town next year *woot woot* so that makes me extremely excited. Lastly,If you're waiting on prizes from any of my recently finished Giveaways I do apologize that I didn't get them sent out last week. Please note they should be on the way and I hope they arrive relatively soon to you all. So let's get to it shall we! This week I want to share some Zombie Book trailers that I've come across in my wanderings through the web. Some of these I've read before and others I'll definitely be adding to my TBR. So let's get to the trailers shall we! Night of the Living Trekkies by Kevin David Anderson Jim Pike was the world’s biggest Star Trek fan—until two tours of duty in Afghanistan destroyed his faith in the human race. Now he sleepwalks through life as the assistant manager of a small hotel in downtown Houston. Title: Through Glass Author: Rebecca Ethington Genre: NA, Dystopian Everyone remembered the day the sky went black. The day the sun was wiped from the sky. They remember the wind as it brought in the darkness; the way the earth shook and everything changed. Everyone remembered the screams as the darkness ate those who were out in the open, those who had surrounded themselves by light, and those who made noise.